“At first glance, it is basic and modest but it has an elegance. Such was my ideal shoe which I wanted to craft.” Mr. Shoji Kawaguchi said. Mr. Kawaguchi is the founder of “MARQUESS”, the bespoke shoe brand in Ginza. 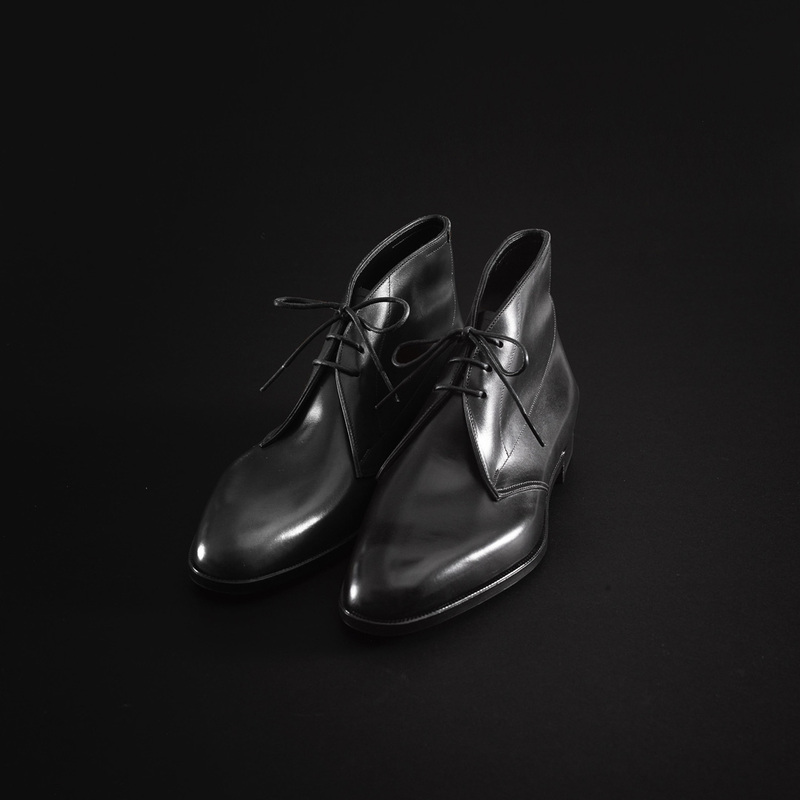 After working at prestigious English shoe brands such as “Foster & Son” and “Edward Green”, he has earned a reputation as a highly skilled artisan both in Japan and abroad. What Mr. Kawaguchi created for “ARTS&SCIENCE” was a collection of ready-to-wear women’s shoes. Working mainly with men’s bespoke shoes, what triggered Mr. Kawaguchi to craft women’s shoes? We bring you a feature issue titled “Behind the Scenes” to find out why. From his teenage years, Mr. Kawaguchi was an admirer of English fashion and culture. After graduating from his local university, Mr. Kawaguchi applied for the Footwear Training Centre at the Tresham Institute in Northampton, the haven of English shoemaking and the place where prestigious shoe brands such as “John Lobb” and “Edward Green” stands, to study shoemaking without any basic knowledge in advance. However, what Mr. Kawaguchi learned at the institute was the technique for creating mass production shoes. It was not until his visit to a shoe museum in Northampton where he met a pair of bespoke shoes which made his world change. 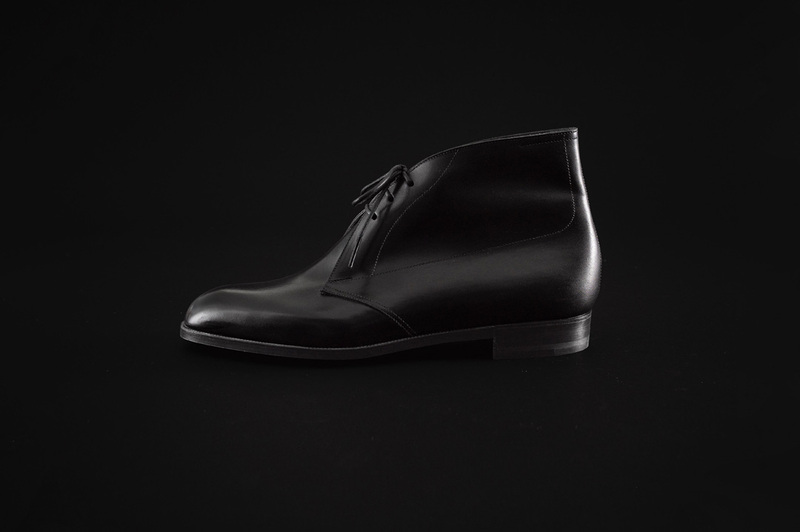 It was a pair of simple Oxford shoes from the 1920’s or the 30’s but he could feel that it had a completely different allure from the rest of the shoes: the expression of the leather, the form, the design and the balance of the last. It was modest yet elegant. Blown away by the fact that such piece could be created by human hands, Mr. Kawaguchi came to devote himself to the world of bespoke shoes. After graduating from the Tresham Institute in 2003, Mr. Kawaguchi and his wife Yuriko, whom he met at the institute, became apprentices to Mr. Paul Wilson, who worked as a shoemaker for the celebrated shoe brand “George Cleverley”, to acquire the technique of bespoke shoemaking from zero. Bespoke shoes are fully customized shoes which start from meeting the customer in person to take precise measurements of the foot in order to create wooden lasts. During this process, the shoemaker listens to the customer’s request to understand the preference and to select the right model and material. The shoe fitting process is also important and although it was a great challenge, it was the first time Mr. Kawaguchi acquired such feeling of accomplishment. By 2007, Mr. Kawaguchi was skilled enough to take full responsibility in the creation of Wilson’s orders. 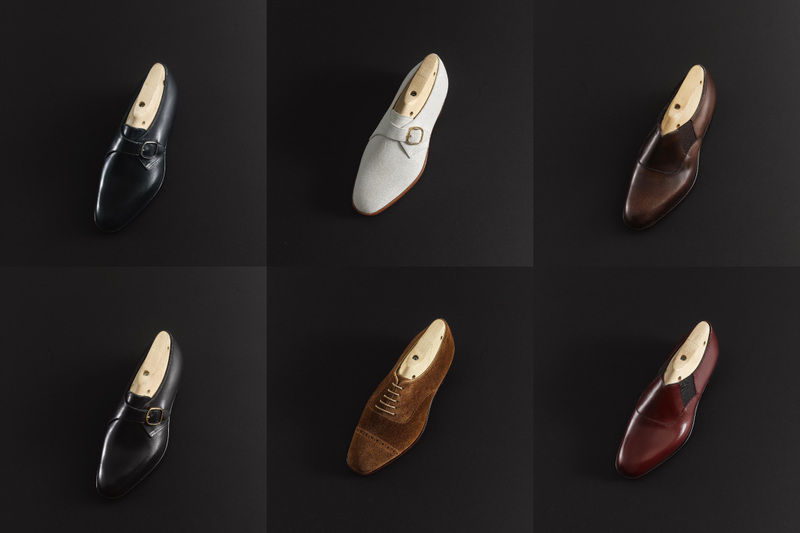 After moving to London as a freelance artisan, Mr. Kawaguchi became a member of a team of artisans led by Tony Gaziano, the chief supervisor of bespoke shoe department at “Edward Green”. After returning to Japan in 2008, Mr. Kawaguchi pursued his career as an outsourcing shoemaker at “Gaziano & Girling” for 3 years. In 2011, he established his own brand “MARQUESS” and opened a studio in Tokyo. How are bespoke shoes made? At “MARQUESS”, the process from receiving the order to the completion takes more than a year. As we asked Mr. Kawaguchi about the process, we were able to fully understand the reason why. Firstly, figures such as the width and the length of the foot are transposed into a wooden last. It takes two full days of carving a block of wood and once the last is made, the artisan crafts a prototype of the shoe. This is a process unique to bespoke shoes. 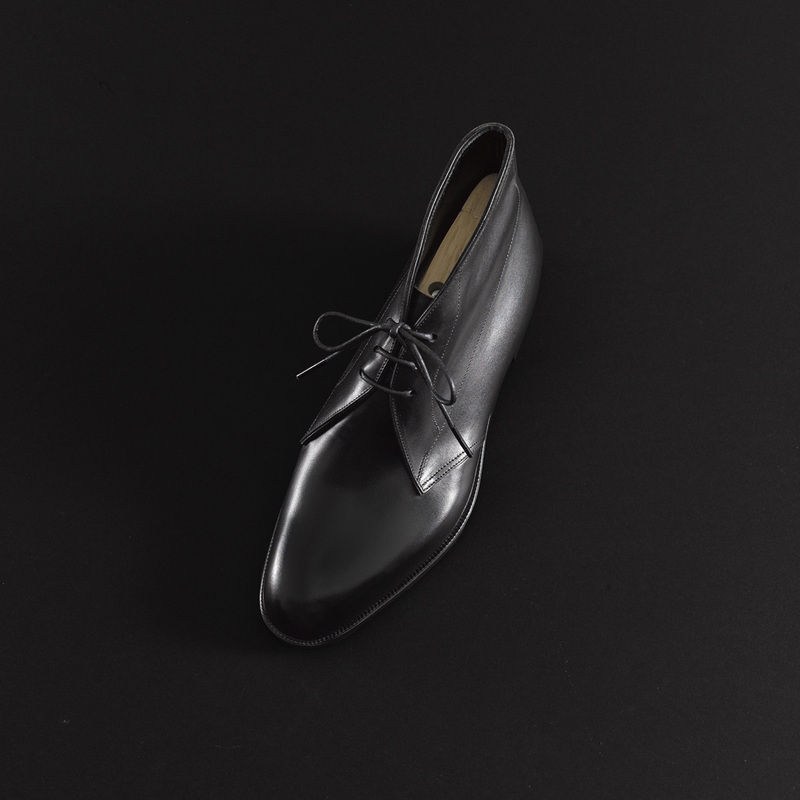 The prototype is a shoe which uses leather and materials that are close to the final pair to check the sizing. Once this is made, the customer tries them on to see if there is any part that is too stressed. After boldly cutting through the instep and the toe, meticulous adjustments are made by millimeters to the wooden last by checking the fit of toes and heels. From calfskin, suede, crocodile to lizard, the selection of leather is vast. According to Mr. Kawaguchi, each leather stretches differently or does not stretch at all, which makes it indispensable for the craftsman to determine their characteristics. All the process including the finish is done by hand using the handsewn welted process. After a year of going through these steps, the pair is finally finished. Even if the customer’s feet change during this period, it does not pose any problem because Mr. Kawaguchi can make modifications by adjusting the last to such changes. Due to the fact that it takes such time and effort to craft such a unique pair, the customer can order only one pair at a time and it was about two years ago that Sonya ordered her pair to Mr. Kawaguchi. Sonya was captivated not only by the exquisite fit but also by the dignified form. “I ordered a Monk strap shoes and was surprised by the comfort when I first put my foot in. It feels as if the foot is gently hugged, as if the shoe was already mine even from the day it arrived. And despite its traditional design, it has an aura of elegance and it stands alone as a beautiful product. Wearing it, I realized that this beauty was made possible through a fusion of the balance of the shape of the last, the pattern, the quality of the leather, the stitching and the process of attaching the sole. I was so moved that I requested for another pair in a slip-on style and at the same time, thought how wonderful it would be to introduce a women’s version of such comfortable shoes.” Few months later, the new project between “MARQUESS” and “ARTS&SCIENCE” came to life. For Mr. Kawaguchi who uniquely crafted men’s bespoke shoes, the first step in crafting a women’s ready-to-wear shoes began by measuring the foot of a female staff at “ARTS&SCIENCE”. Using these figures, Mr. Kawaguchi strove to make a shoe that fit anyone but failed to create a satisfying form. Similar to body sizes, we all have different types of foot shapes. After deep contemplations, Mr. Kawaguchi made a bold decision to base the shape on the foot which he thought was the most balanced and proportionate and spent about a year making necessary adjustments. For this semi-order project, sizes are available from UK3 to 6.5, but the customer is unable to select the width. If the customer selects a half-size larger shoe based on the width of her foot, there will be more space in the heel. This was the new challenge for Mr. Kawaguchi. To tackle this, he came up with a wooden last with a three-dimensional curve in the instep which prevented the foot from slipping forward and stabilized it. It can be seen that the part between the instep and the neck of the toe forms a deep curve which allows the foot to grip tightly. The deep curve also serves to create a three-dimensional form and elegant curves. As a result, Mr. Kawaguchi came up with 7 models which are made from the Mckay process which blends seamlessly together with the upper part, instead of the Goodyear welt process which articulates on the edges. At first glance, it looks like a classic men’s shoes but if you look closer, you can feel the dignified feminine aura created by delicate shapes and fragile lines. The shoes created in collaboration with Mr. Kawaguchi of “MARQUESS” begins from measuring the customer’s foot in order to correctly understand the size and to select the pair that is best suited for the customer. We would also like our customers to cherish each pair as long as possible instead of throwing them away after use so we will be happy to share advices on the care and storing methods. Request for repairs will also be welcomed. Our current lineup consists of 7 authentic models but we would like to expand our selection to exotic skins and even models with heels. Considering the fact that countless shoes are mass produced these days, Mr. Kawaguchi’s effort may look as if he is going against the trend. However, we truly believe that wearing and taking care of thoughtfully crafted shoes for a long period of time is ecological and is also an efficient and mindful choice that we can make. Please note that this is not a bespoke but a semi-order project where the customer can select the size and the leather. Despite thorough measurements, we cannot guarantee that our shoes will match the shape of every customer’s foot. We will do our best by sharing advice such as introducing in-soles but please understand that in some cases, we may ask our customers to refrain from making a semi-order. We are working on another project using different types of wooden lasts in order to assure our clients with their very own pair in the future. We hope this project will be an opportunity for our customers to think about “the shape of shoes that is just right for you”. ※The designer will be present at the store on Saturday February 9th and Sunday 10th. Saturday February 9th and Sunday 10th will be limited to customers with appointments. To make your reservation, please call “SHOES and THINGS”. ※ Please contact our stores or send us a message via “contact form” for any inquiries.